Dancing Horse Farm, the home of Warhorse Powerful Saul, is a small breeding farm located in Oregon. We are so proud to stand our wonderful stallion, Saul, to the public. Please contact us if you have any interest in breeding or purchasing a Shire or Shire cross. We can be reached at 503-829-3326 or by submitting the form on our 'Contact Us' page. This gorgeous 2006 stallion has all the attributes of a great Shire stallion. Well conformed, tremendous amounts of hair, intelligent and above all, willing. Horses like Saul are the reason people came up with the term 'Gentle Giant'. He is kind beyond words and displays an old soul quality that he passes down. Saul's sire is the legendary Laurel's Powerful Paul, who served as an amazing ambassador for the breed until his passing in 2012. 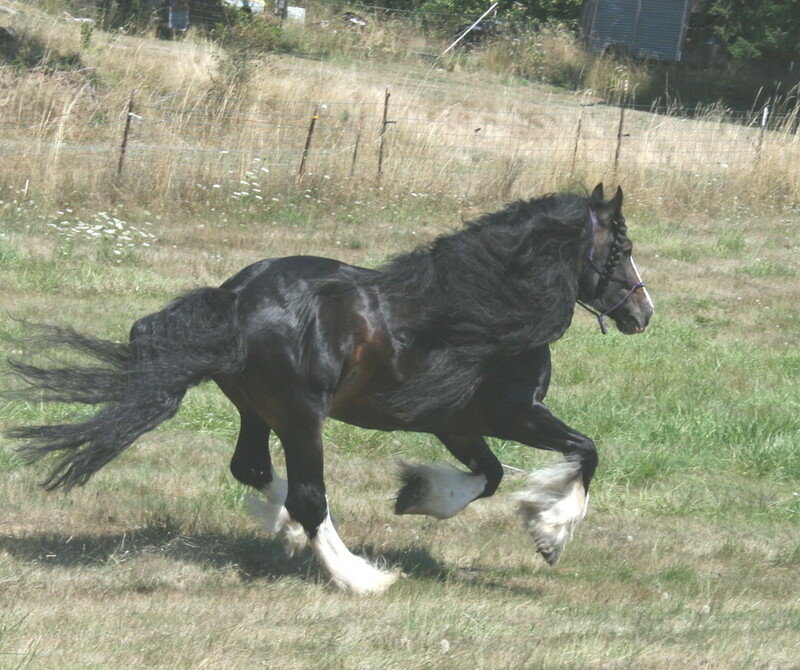 Paul graced many magazine covers and calendar pages in his lifetime, while garnering a lot of fans and introducing people to the magnificent Shire breed. Shire horses are the largest breed of horse in the world. Saul himself is one big boy, weighing in at 2,260 pounds and standing an impressive 18.1 hands tall. At only eight years old, Saul has a limited number of foals on the ground, but is proving himself to be a consistent sire. His foals always have a lot of bone, tons of hair, beautiful action and are born people lovers. If you don't have a mare to breed to Saul, check out our mare page to see about buying a foal in-utero. We're happy to work with you to help you get your dream horse. Saul is registered with the American Shire Horse Association and all of his crossbred foals are eligible for registration as Shire Sporthorses with the ASHA. This is a breed to be excited about! 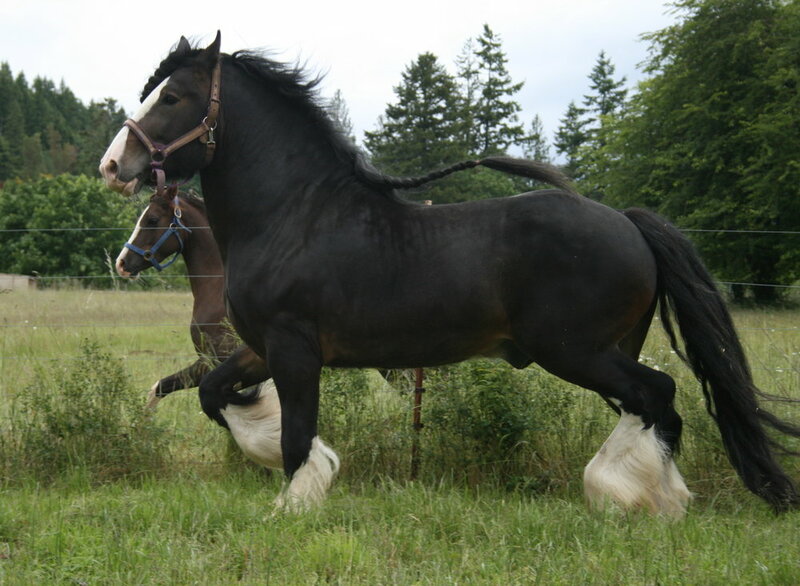 Shires were originally bred as riding horses, their calm nature, willingness and size allowing them to bravely carry heavily armored men in war. They then transitioned to being work horses with a knack for being able to drive and pull heavy loads. It just goes to show how versatile the breed has been from the very beginning.